None in Israel. 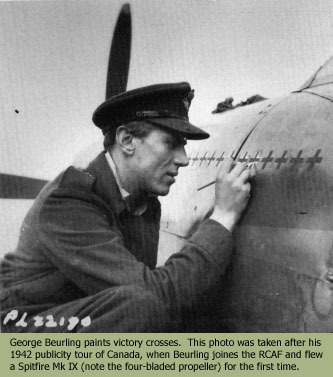 Beurling was credited with downing 31 7/12 enemy planes with the RAF and the RCAF in WWII. Buzz Beurling, Canada's leading WWII ace, was easily the deadliest fighter pilot recruited by Israel. His skill in a cockpit was, however, matched with a streak of rebelliousness and disrespect for authority. He had two nicknames: "Buzz" for his habit of unauthorized low-level flying and "Screwball" for his erratic behavior. Although he dropped out of high school, he earned his wings and joined 41 Squadron RAF in England. He gained a reputation for ignoring team tactics and breaking formation to attack the enemy on his own. He requested, and received, a transfer to Malta's 249 Squadron RAF in the spring of 1942. He flew off the HMS Eagle on the same day as John McElroy, another 249 pilot and one who would later fly for Israel. In Malta, Beurling received the DFM (and Bar), the DFC, the DSO, and several tongue-lashings from his CO while running his score to 29. After a disastrous public relations tour of Canada - PR not being one of his strong points - Beurling rejoined the war as a member of the RCAF, flying in 403 Squadron. Beurling's insubordination increased to the point where he was transferred to 412 Squadron RCAF to avoid an otherwise inevitable court martial. When that proved no better, Beurling was repatriated to Canada in late 1943 to serve as a ferry pilot. Unable to find anyone willing to send him back to an operational squadron, in 1944 Beurling submitted a letter of resignation to the RCAF, which quickly accepted it. I told him we had no money to pay him, no uniforms, and no airframes except for a few Piper Cubs. He said he didn't care about the money. He already had offers from three armies who wanted him. He told me: "The Jews deserve a state of their own after wandering around homeless for thousands of years. I just want to offer my help." Beurling even suggested he lead a group of pilots to Malta in an attempt to steal Spitfires from an RAF base. Despite some misgivings, Dunkelman believed Beurling truly cared about the cause rather than just the fight and signed him up. He also had a chance encounter with a former commander, W/C Hugh Godefroy, who recalled:. I was in the Laurentians above Montreal skiing. At the end of a day we went into Grey Rock's Inn for a hot drink. I saw a familiar face: George Beurling. Beurling made his way to Rome. On the morning of May 20, he and Len Cohen, a British Machal pilot, took off from that city's Urbe airfield to test-fly a Norseman. Witnesses reported seeing flames coming from the Norseman's engine on its landing approach and as it touched down, it exploded. Both pilots died. The official accident report blamed the accident on a backfire due to "engulfment of the carburetor" but unofficial rumors persist. Any number of groups had reason to prevent Beurling from reaching Israel and Italy swarmed with representatives of the warring factions. Many think the Arabs sabotaged the plane. Others blame the British, Italians, or even Jewish extremists. In the Maclean's interview, Beurling made clear he considered himself a mercenary. He also apparently told an acquaintance that the Arabs had offered him $1,600 per month to fly for them. Still, Beurling was by then firmly ensconced in the Israeli armament program (he was test-flying Israeli aircraft, after all) and I don't think it's likely that any Israeli group would assassinate him on the idle and farfetched chance that he'd abandon them for Egypt. The best explanation for Beurling's death is that he had an unfortunate accident. The most intriguing and, of all alternate scenarios, the most probable is that he was offed by the British. 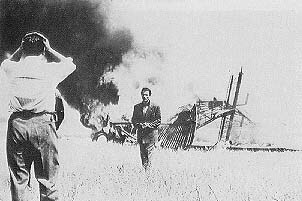 After the accident, a Haganah operative in Rome suggested that a British agent claimed that his mission was to do "whatever he could to prevent planes and volunteers from reaching Palestine", for which the Israelis kidnapped and executed him (Cull et al 1994). Oddly, Canadian officials hesitated to claim Beurling's body (Bracken, pers. comm.) - remember, he was Canada's top WWII ace - which compounds the mystery. 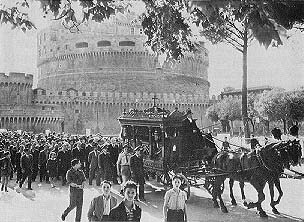 Beurling received a grand funeral in Rome and was laid to rest in that city's Verano Cemetary. 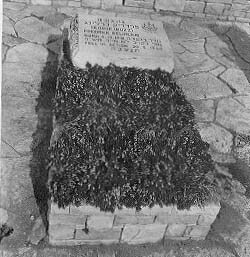 Two years later, Israel would claim his body and re-inter him in Mount Carmel Cemetary as an Israeli hero. For much more on Beurling's life and flying career, check out Miles Constable's Canadian Air Aces and Heroes.